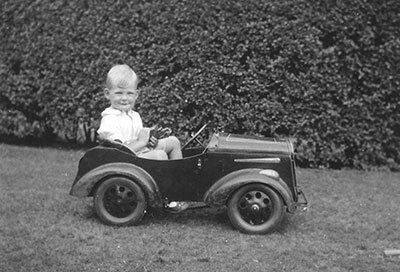 Michael was born in 1937 in Woking, UK, and cannot remember ever not being interested in cars. He started racing in 1960 with a Lotus Seven he put together from a kit. It was the first Seven BMC and his racing was supported by Lotus Components in return for writing about it and involvement in a promotional film. He went on with different sports racing cars, and took an Elva BMW out with him when he and his wife Norma emigrated to Sydney, his father’s birthplace. He is a Cambridge and St Thomas’ Hospital graduate. He joined the RAF as an aviation medical specialist and became interested in crash injury prevention. He did a study of race crashes in the UK in 1967, and his 1968 book, “Motor Racing in Safety” introduced the concept of a six-point harness and was generally useful in promoting race safety at that early time. He worked with the GQ parachute company and its consultant “Dumbo” Willans on the harness which came to bear Dumbo’s name. In 1968 he joined a team that included Sergio Pininfarina, Paul Frere, Ernst Fiala and Mauro Forghieri to design the “Sigma Grand Prix”, a concept safety race car based on a 1967 Formula One Ferrari. It was hugely influential, mainly through Frere, in stimulating interest in race car crash protection in the early 1970s. It is still regarded by Pininfarina as one of his most important concept cars ever, and is usually kept either in Turin or at the Galleria Ferrari in Maranello. In Sydney, he established the first government-funded road crash research institute and laboratory, and became head of road safety in New South Wales. When the whole scene became too bureaucratic, he formed his own consultancy, and is now drifting into retirement at a rate determined by the need for continuing financial support for racing and sailing. His other love is ocean yacht cruising, and from 1981 to 1989 he and Norma sailed the world in their 37-foot sloop, including the Americas, northern Europe and the Mediterranean. On return to Sydney he returned to racing in historics, first with a clubman, then a Birrana Australian F2 and Lola T560 Formula Atlantic among others. Dr Michael Henderson is a doctor of medicine and a graduate of Cambridge University and St Thomas’ Hospital, London. 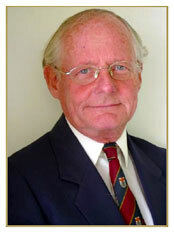 He has spent his entire professional life in aviation, road and motor sport safety research and administration. He was author in 1968 of the seminal book “Motor Racing in Safety” and was one of the designers of the pioneering race safety concept car, the Pininfarina/Ferrari Sigma Grand Prix. He was the originator of the six-point race harness and a pioneer in the use of seat belts in racing cars. In addition to his position as a Fellow of the FIA Institute for Motor Sport Safety, Dr Henderson is also a Fellow of the Association for the Advancement of Automotive Medicine (AAAM), and the Australasian College of Road Safety. He is a member of several other international safety organisations including the Australian Trauma Society and the Society of Automotive Engineers. 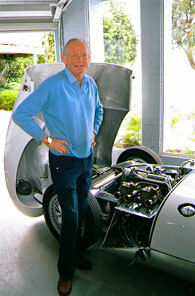 In 2004 he was awarded Life Membership of the Confederation of Australian Motor Sport (CAMS). 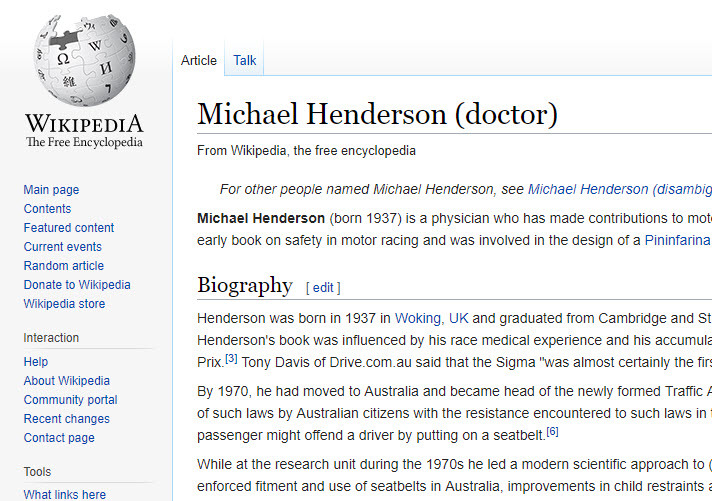 In 2007 Dr Henderson became the inaugural Chairman of the Australian Institute for Motor Sport Safety, and is currently leading its expanding research and educational activities.